Looking to travel to Egypt on a private Egypt tour, Egypt vacation or Nile cruise? Egypt is a land of many wonders and sights to behold, from the ancient pyramids of Giza to the beautiful Red Sea resorts. If you have dreamed of visiting this magical land, we offer you the unique opportunity to visit Egypt the way you want to. you can customize your Egypt tour, Egypt vacation, Egypt travel & Nile cruise to your exact specifications, and we will respond by offering you a package at the best price available. Whether it’s your dream to stargaze at a beautiful oasis in the Western Desert, cruise down the Nile, scuba dive at a luxurious Red Sea resort or all of the above, we can help you plan the Egyptian vacation that you have always dreamed of. Ancient Egypt Holidays Will make all the arrangements and have the best connections that will make your travel to Egypt enjoyable and exciting. Our tours to Egypt are well-organized and flexible enough to allow you to make the selections of what kind of trip you want to take. We can even arrange your honeymoon tour including a memorable Nile cruise. The possibilities are endless when you book your travel to Egypt through us. Find a cheap holiday to Egypt, a destination that combines history and culture, with lively entertainment. All of Egypt is so ludicrously steeped in history, from its biblical connections (a young Jesus was taken to Egypt by his family when he was but a lad, not a holidAay exactly, they were trying to escape naughty Herod’s death sentence on Jewish children) to the might of King Ramesses II whose mummified remains are still displayed in the Egyptian Museum in Cairo some 3500 years after his death, there’s wonder and mystery everywhere. The massive city of Cairo with its 15 million plus population, Minarets, bazaars, and unbridled luxury rubbing shoulders with utter poverty is an incredible place, but a surprising order and relatively low crime rate prevails. Holidays to Cairo are an excellent choice for those who like the hussle and bussle of a lively, but safe, city. There are few places to visit in the world that have been receiving tourists as long as Egypt has. Over 2000 years ago Romans were cruising up the Nile and visiting the pyramids, long before the early explorers from the UK came back with tails of amazing structures in the desert. We’ve more than just pointy buildings to thank ancient Egypt for – there’s the calendar, clocks, paper, and, unfortunately, cats. They weren’t that clever then, we think they should have domesticated otters, which are far more intelligent, and could live in the bath. 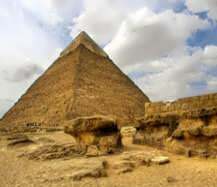 The pyramids are hardly surrounded just by desert anymore, the most famous pyramids we mean, as there are over 100 pyramids in Egypt, but some are falling to bits more so than the most famous ones – the pyramids of Giza. The massive urban sprawl of Cairo reaches almost to the foot of the great Giza pyramids, where the largest pyramid ever built dominates the skyline. The Cheops pyramid is a great wonder of the world, and in the middle of the three main pyramids that make up the Giza pyramids. They are mausoleums really, for the mummified remains of King Cheops (and a few wives) and are pyramid shaped because anything in a pyramid is supposed to live forever. Cheops was the possibly first fellow to be mummified. The surface of the pyramids was once perfectly smooth with all the entrances invisible, but this surface was eventually hacked away and a long process of plundering began in about 820 AD. However, you can go to Egypt and never see a pyramid should you be settling down for a few weeks and enjoying your summer holidays in Sharm el-Sheikh, as it’s a good 335 miles from Cairo and the Giza pyramids. You can spend weeks in Sharm el-Sheikh doing nothing other than sitting on the private beaches, enjoying some of the best diving in the world in the Red Sea, having a go in the casino, and generally enjoying the nightlife of the Red Sea Riviera. The pyramids and Cairo itself aren’t completely out of the question from Sharm el-Sheikh – a long and fairly gruelling way in a coach, but not impossible, much easier by air of course. There’s Mount Sinai to explore, and you can hunt for bits of the tablet with the 5 commandments on it that Moses dropped on his way down with the 15 commandments. Or how about spending your holidays in Taba. Taba is a relatively newly reachable town, on the border of Israel, its airport only opened in 2000. You can get a bus to Eilat across the border in Israel quite easily, but there’s plenty to do here, as long as being cosseted in cheap five star all-inclusive luxury in Egypt and enjoying the hospitality of the wonderful Egyptian people is alright with you. It’s a resort still in development, but that doesn’t mean it’s a building site. There are strict local rules and laws that developers have to comply with that help protect the natural environment and delicate ecological balance of the red sea, and the Sinai desert, which is one of the most stunning deserts in the world. Hurghada is fairly new too, not quite as new as Taba as a resort, as it’s been growing and spreading out along the Red Sea for nearly 30 years now and currently stretches for about 26 miles along the coast. Holidays to Hurghada offer nightlife, diving, great weather, and hospitality – what else could you want on holiday? The massive city of Cairo or smaller Luxor, where you might visit should you go on a Valley of the Kings trip to see the mummy of Tutankhamun, are everything you’d expect – huge sprawling masses of humanity, most of whom seem intent on extracting cash from you for various reasons. Keep your wits about you and you’ll be okay though. And do be careful crossing the road! Expect lots of people to be ‘guarding’ the main attractions, such as the pyramids, and try not to let being led slightly astray spoil your visit, just focus on what you need to do and brush aside any offers to go on other impromptu tours that you haven’t planned. Women should dress conservatively in this mainly Muslim country of course, which means arms and legs covered incidentally, especially if you’re visiting a Mosque or other place of worship. There are posh hotels galore both in the cities and the Red Sea Riviera resorts. However, even in the posh bits you don’t have to stray too far to find many people desperate to get you into their taxi, on their tour, or otherwise parting with your money. None of this is dangerous or intimidating enough to make it a massive problem, security is high in Egypt, so don’t miss Egypt off your list of ‘must visit’ places. Far from it in fact, Egypt belongs right at the top of that list as it never disappoints. The pyramids and sphinx are not the only historic monuments in Egypt of course, but they are the only remaining examples of the Seven Wonders of the World, It’s stunning to be there, in the heat on the edge of the desert, locals vying for your attention, what was the tallest building in the world for thousands of years dominating the skyline. Like the rest of Egypt, the pyramids don’t disappoint. If you go inside, to which there’s a limit of 300 people per day at the moment, don’t expect it to be a particularly comfortable experience, especially if you’re anything over about 5’6 tall. They weren’t built for us lot to clamber round in! Security issues and concerns are as paramount in Egypt as they are anywhere else in the world these days, but the Egyptian authorities have more experience than most at handling things and are generally well thought of internationally. Tours, Sightseeing and Activities Egypt is an ancient country with a fascinating range of must-see destinations: the pyramids of Giza, the historical city of Alexandria and Luxor which is like an open museum. From Pharaonic emerald mines to Coptic monasteries, Ottoman fortresses, Muslim shrines and the intriguing Eastern Desert, Egypt is a travelers delight. Whether it's a desert adventure, a beach getaway, a cruise in the Nile or the unfolding of history you are interested in, Egypt is the destination of choice. Satisfy your thirst for history with a tour around Egypt’s historical sites, custom made just for you. Maybe you’re the adventurous type; embark on a desert safari, or enjoy a diving trip in the red sea. Feeling like staying up all night? Then come to Cairo, the city that never sleeps, walk through the streets of Khan El Khalili or go to the hottest night clubs. Ancient Egypt Holidays offers you diversity, passion, and fun. Through customized packages that fit your needs and budget, whatever your heart craves Ancient Egypt Holidays guarantees. We can give you cheap budget deals, tips and guide you through your holidays in Egypt. Find out more about our all inclusive packages through the website, where our specialists strive to make your visit unforgettable. Have your next holiday in Egypt and enjoy all the beauty this country has to offer. It's easy. You can book everything you need for a great holiday to Egypt including -all trips, vacation and excursions. hotel Reservations, meet and greet and transfers from all airports in Egypt, arrange all transfers with A/C cars and coaches. reservations for domestic flight tickets, boat tickets, train tickets. Egypt city tours, Nile Cruises ,Egypt Travel packages and excursions in Cairo, Alexandria, and Sinai, Sharm el Sheikh, Dahab, Hurghada,Safari holiday in Egypt Luxor, Aswan and Abu Simbel. Standard & Family Tours, Felucca cruises. Selection of felucca cruises on the Nile. 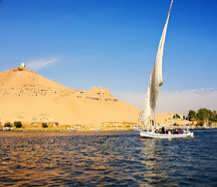 Explore the ancient culture of Egypt,feluccas, Student holidays Tours to Egypt felucca holidays Egypt Cruises on Nile and Nasser Lake as well as diving trips, courses free diving, yoga classes,honeymoon vacations,climbing and hiking in the desert.for all world Speaking Market . Choose the Tour dates and times, where you want to stay and the duration of your holiday. Plus we share our holidaymakers' feedback with you. The reviews are exclusively from previous customers who have actually booked and taken a holiday to Egypt. Welcome to our world - a world of Ancient Egypt Holidays! One among the most ancient places in Egypt is the classical tour of Egypt ( pharaonic ) but often time it includes a few of the religions as well as Islam .The eminent pyramids of Egypt around Giza almost close to Cairo sightseeing. The famous classic tour is normally 10 to 14 days, and mostly includes Cairo, Luxor in addition to Aswan, even though not in that order. They are usually organized with, or without a Nile cruise. Normally, such Egypt holidays will start in Cairo, due to the major Airport where several of the tourists get in Egypt. On the other hand, tours are usually split between the start as well as the end of the trip. 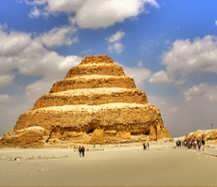 For instance, a tour may possibly cover the Giza pyramids in addition to saqqarra (step pyramid) together with the Egyptian Antiquities museum on the day of arrival. Therefore, after moving to Luxor and Aswan as well as Cairo, tours will focus on visiting the citadel and khan el-khalili market in Islamic Cairo, the churches as well as Coptic museum in ancient Cairo. Actually, the tours may not be in this particular order. After taking a day or two in Cairo, these tours often travel to either Luxor or Aswan, regularly by air although a train can also do. Nevertheless, other types of travel are usually organized, including bus travel. In fact, the bus may possibly stop at antiquity sites along the way, and the antiquity near the fayoum. The next session of the tour regularly starts in either Luxor or Aswan. Take note that Luxor is usually organized within one or two day tour. At dawn, or one day of a two-day stay, the tour most likely visits the west Bank where several monuments as well as tombs are found, including some of the greatest in Egypt. This often takes place in the morning so as to avoid the heat of the afternoon. Thus one afternoon or one day will probably be kept for the East Bank, where the Luxor as well as Karnak temples are easily located, in addition to the great Luxor museum. There are many activities and among these include visiting the local bazaar. For Aswan nearby south of Egypt, a day tour is normally enough for many people, furthermore these may include visits to Elephantine island, st.simon’s monastery, the unfinished obelisk, the Nubian museum, the high Dam as well as philae island, even though the given time may not allow most standard tours to check all these sites.But, regural addition to the standard classical tour is the temples at Abu simbel.This in most times adds a day to the Aswan tour. Various tours fly to Abu Simbel and still get back in one day, allowing much time to accumulate on the visits to Aswan sites. 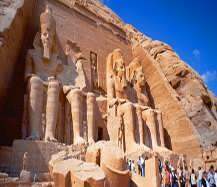 The unknown tours may end up in Abu Simbel, probably with a stay in a local hotel there in. Whenever, after cairo, atour usually ends up in luxor,the following destination taking place at Aswan,or if probably Aswan is the first stop,the nearby destination will normally be luxor.The usually used type of transport between these two destinations are tour bus or Nile cruise boat.As one may perhaps take a train or fly between the two destinations,this is not done because of the antiquity sites which may include the temples of kom ombo and Edfu, which are positioned between the two cities still survive to bear witness to the refinement and beauty of many golden ages. Holidays in Egypt: What to See and How to Do It ? The Nile Valley in Egypt is home to some of the most important cultural sites in the world. From Abu Simbel to the historical sites in and around Luxor and Thebes, the Nile Valley has everything that culture-loving holidaymakers could want. However it can be difficult to see everything in one short, or even long, trip. Cruises are an excellent way to see as many of the Nile Valley's sites as possible. Cruises that pass through or begin in the Nile Valley will generally include a visit to Luxor and Thebes which both lie either side of the Nile. Both are full of interesting historical sites to visit and Luxor has some great museums. Visitors to Luxor should first head to the Luxor Temple, just a few metres from the river bank, and take a chance to walk down the avenue of Sphinxes leading up to the Temples grand entrance. A little further down the bank is the colossal Karnak Temple, which houses the Temple of Amun, the temple of Ramses III and the Tomb of Seti. The numbers of things to see in Luxor alone make these holidays a must for culture lovers. Between the two temples is the Luxor museum housing treasures and artefacts from the surrounding areas. Across the river in Thebes the Valley of the Kings has over 60 tombs, including that of Tutankhamen and it's not too far away from the Hatsheput Temple, which juts grandly out of a limestone cliff face. Other attractions further down the Nile include the Temple of Horus at Edfu, one of Ancient Egypt's best preserved temples equidistant from Luxor and Aswan in the south. Holidaymakers that want to visit the Abu Simbel Temple can take a day's excursion after buying some gifts from the bustling market. There are a few museums in Aswan, the best being the Aswan museum housing treasures discovered in and around the city, and the Nubian museum has some interesting prehistoric rock carvings. Possibly the best thing about all inclusive holidays in Egypt, apart from the convenience of being dropped off at all of the historical sites, is that the boats are opulent floating hotels that cruise down the sun baked length of the Nile. River cruise ships are often of four-star standard and may include a sundeck, jacuzzi and a swimming pool. Holidaymakers that go for an all inclusive cruise will be able to enjoy a cold soft drink or alcoholic beverage on the sunny deck of their boat while looking forward to the next historical stopover. Although you would think that Christmas holidays in Egypt is the last thing that you want to ruin your year end fun, many travellers would violently disagree with you. Tourists today are very much keen on spending their holidays in Egypt especially during the Christmas to enjoy its sunny and warm climate besides visiting some of its famous archaeological sites. While the warm Egypt weather is definitely an important factor for attracting tourists here during the month of December, Egypt does have a strong historical connection with the festival of Christmas. It is commonly believed that the Holy Family had spent quite an amount of time in Egypt after the birth of Jesus. Therefore Christmas is considered to be a very special celebration in Egypt. Amongst all other popular destinations in Egypt, Hurghada and Sharm El Sheikh are two must visit places in Egypt during Christmas. Holidays in Hurghada, a town on Egypt's famous Red Sea coast, will take you through miles of stunning beaches giving way to warm azure blue water and tons of coral & colourful aquatic life. All this makes this holiday town a sun worshipper's paradise. Sharm El Naga which is about 30 Km to the south of Hurghada is also a recommended travel destination for its isolation and coral. Sharm El Sheikh, located at the tip of the Sinai land mass is another favourite destination for Christmas holidays in Egypt. Just a short distance from this tourist destination is the famous Ras Mohammed. It is counted as one of the best coral reefs present in the world today. The colours of the fish the coral will surely mesmerize you when you visit this place. Try a day trip from here to the St Katherine's Monastery which is located atop Mount Sinai during your Christmas holidays in Sharm. Both these places have a good transport system in the form of buses, shared taxis and train line which connects them from North to south. You will also find ferries plying along the Red Sea. Additionally overland coaches are good & cheap in Egypt. So if you are planning to spend your Christmas holidays in Egypt, it would be better if you book your flights in advance. This is due to the fact that the Christmas season is considered to be a high season for tourist visit in Egypt and it is often quiet difficult to book cheap Egypt holidays during this time of the year.